When using the Dropbox integration creator on your web page, after the script is created. If I click "Demo" I get an error message. See attachment. 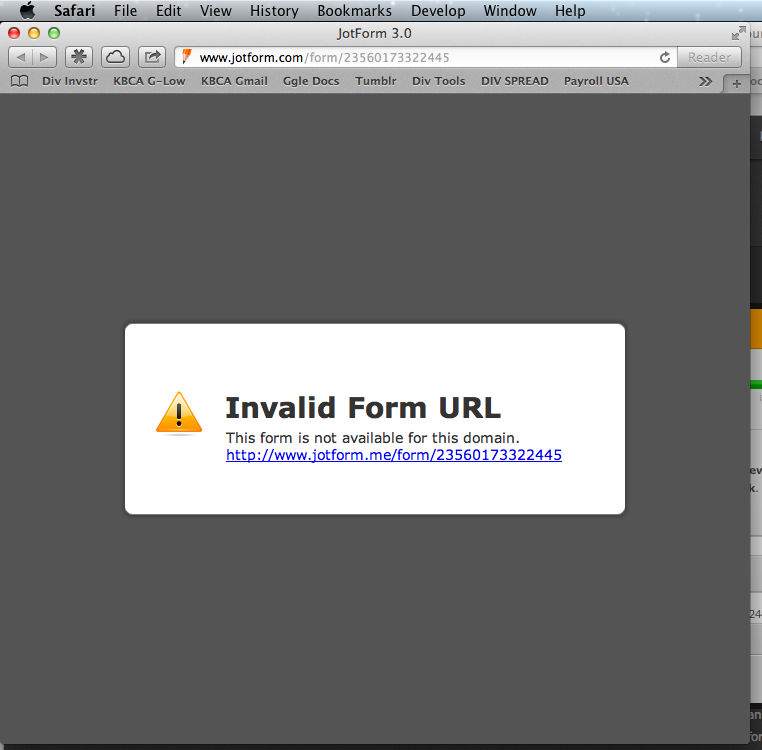 If so, can you try changing it to http://www.jotform.me/ and see how it goes? Also, I have submitted a ticket to the development team. They will look into this as soon as possible.